Why are our downloads so large? Why are our FAA knowledge test downloads so large? 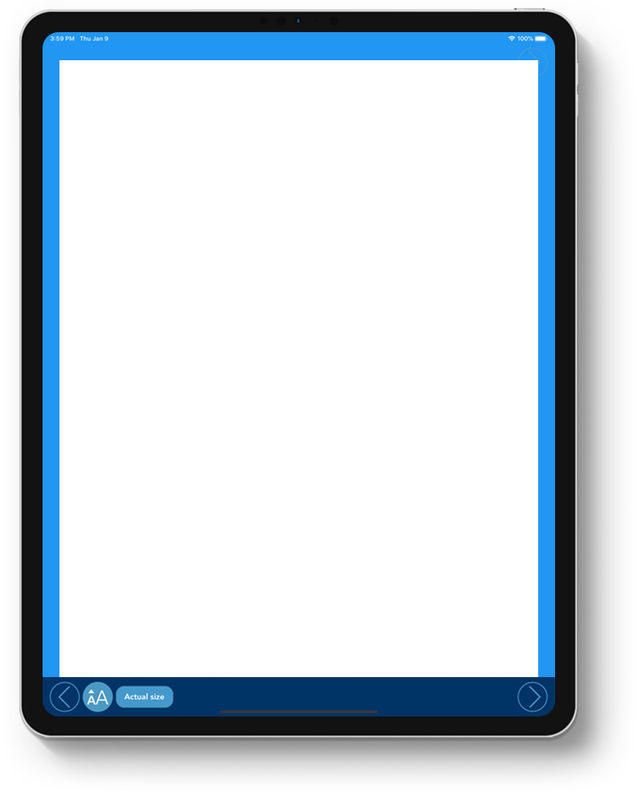 We're occasionally asked why it is that our FAA knowledge tests prep app downloads are so large or why there seem to be so many updates (when using the built-in update features). These are good questions, and the answer boils down to this: our knowledge test preparation materials offer far more learning content than those of our competitors and our editorial staff work to constantly update question banks and associated material (which is particularly useful in this era of fast-changing FAA questions) and don't just do it according to book publishing schedules, as is typical with others. 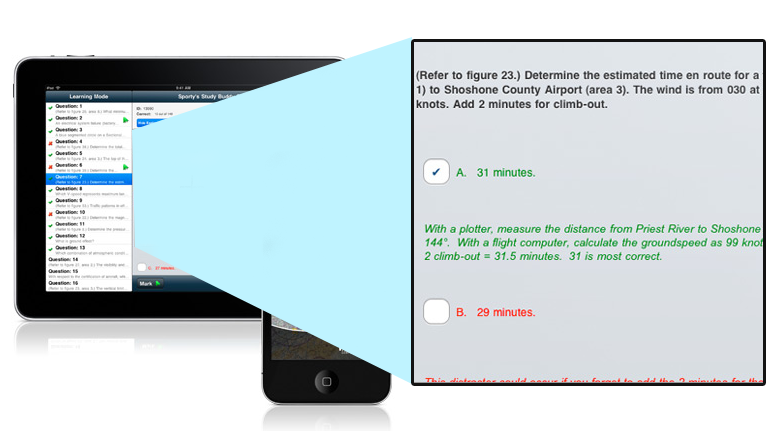 Our FAA knowledge test prep products are complete learning environments in and of themselves, and not simply "dumb question and answer" apps as our competitors tend to have. A typical dauntless pilot knowledge test prep product features over one thousand images (in addition to detailed explanations written by our professional editorial staff of instructors and examiners) to help illustrate the derivation of the answer and key concepts surrounding it. 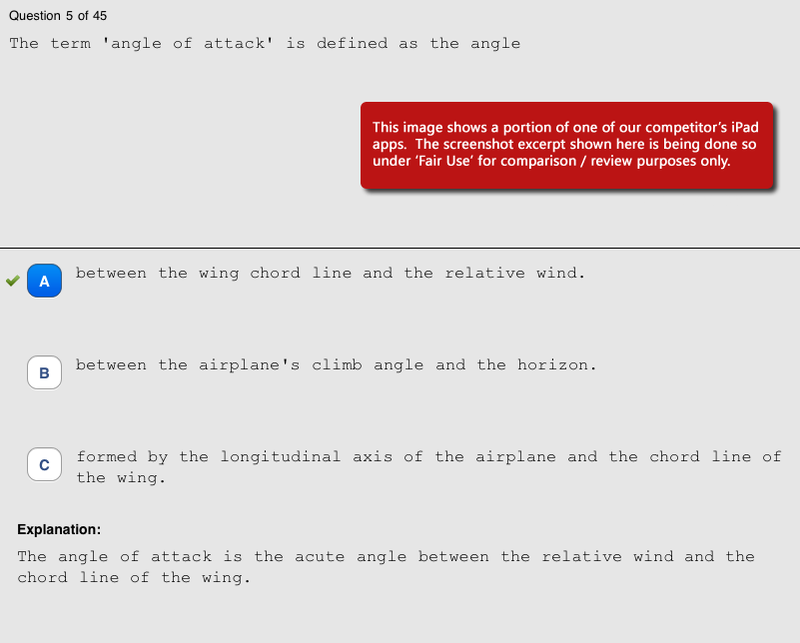 By contrast, our competitors' FAA knowledge test prep offerings feature, well, zero, or very close to it. This is an image from the homepage of their iPad test prep product--in other words, this is an image (the main one on the page actually) that they've chosen to illustrate their product. Though, you'll notice how we've had to use a little zoom tool to actually see their content - their screenshots are quite small, perhaps so you wouldn't spend too much time examining them too closely. Anyway, please keep in mind that this is a question that THEY choose to use as part of their marketing material to show off the quality of their app and its data. Ours features a much more detailed illustrated explanation (the explanation shown here is in full-screen mode). In fact, we can only fit in about 1/3 of the explanation to this particular question here as this question features a methodical step-by-step, fully illustrated explanation that will allow you to not just learn this particular question, but allow you to learn how to solve such questions in general so that you'll be able to deal with similar situations in real life. Again, remember, this question is one that they themselves picked out to highlight their own app. As far as our app goes this particular explanation, which we have provided unmodified and without any special attention, is just a run of the mill question and not necessarily one of our better or "showcase" ones. When we say that our materials feature detailed explanations featuring thousands of supplementary images, we really mean it. The difference in quality is night and day, black and white. Imagine if you were a new flight student trying to make sense of the above question (perhaps you are!). How does their explanation above help clarify the question? By contrast, we believe that an explanation to a question such as this should be rather more detailed and include an image to help really make sense of the relevant terminology. Ours is and does. However, our superior detailed explanations are just the beginning. Take for example the issue of 'reference images.' These are the figures that the FAA asks you to look at while answering certain questions. During your actual test, you'll get these in a paper booklet. 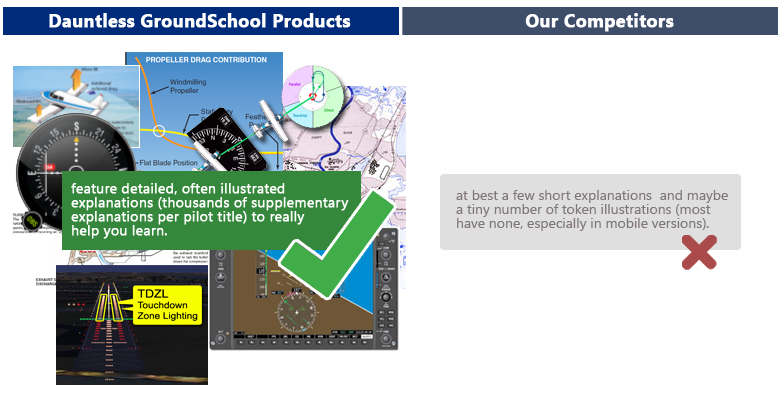 At the time of this writing, the makers of all competing apps (including our two major competitors described above) have taken their version of these reference images directly from a PDF of the booklet that the FAA offers. There's only one problem - the FAA's PDFs tend to be of rather low quality, making many such figures difficult to read electronically and in fact straight from the PDF many of are borderline illegibie and unworkable. While this is "good enough" apparently for our competitors, it is not good enough for us. Our team has, therefore, redrawn hundreds of the more problematic FAA reference figures making them easier to read and thus making your experience more similar to that which you will have at the testing center. These seemingly little improvements have taken us thousands of hours to do - but they will make your study time will go smoother. Correspondingly, these images take up more memory / space, which is another reason why our apps and programs take a few extra moments to download. However, those few extra moments will soon be forgotten as you save hours through time effective study with GroundSchool. All of our apps and programs feature more study modes and options than any of our competitors to get you studying comfortably and efficiently at a pace that works for you. It's really important that you don't underestimate the importance of knowledge test preparation study and not be misled by the marketing hype of others which tries to convince you that this is "just test prep" in order to sell you their expensive, passive (fall-asleep-lose-interest) video-based offerings. Why? Because studies show that active, participatory studying is the most effective way to learn. That material that you learn through using our test prep will stay in your long-term memory far better than that which you will just experience passively (such as through a video). When you use our test prep products, you become exceptionally well prepared for the actual written tests, sure, but also because there's so much supplementary information and because you're experiencing that learning in a truly multi-sensory, direct feedback, truly interactive way, you'll likely find yourself also well prepared both for any new questions the FAA might happen throw into the written test tests (remember - the FAA is changing questions far more often than ever before - our editors are on top of this at least as well as any of our competitors, but there is always a chance that you may see new questions - please use the update feature regularly and click here to learn more about this) and, more importantly, for your practical test (checkride) and beyond. We invite you to see the thousands that have discovered our GroundSchool FAA knowledge test prep products, seen the light (so to speak), and have not looked back. You'll be glad you did. Thank you for reading, and we wish you the best of luck in all of your aviation goals!